Fun active learning task based on the comedy by William Shakespeare. This is a summary assignment. It could be used for revision, or as classwork, or as a homework assignment when students have completed their reading or viewing of the play. There are 29 clues. 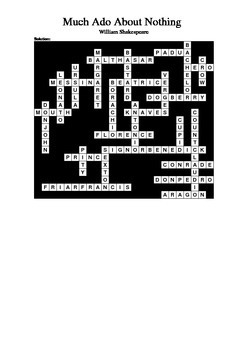 Each entry is a character name, a location, or a keyword from a quote from the play. 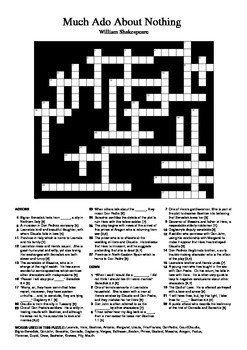 To see the words used in the puzzle, download the preview file (the crossword solution). I've added as much detail as possible to the clues, so that students are actively learning (or reinforcing their previous knowledge) when completing this activity. A word bank is included to assist students. The solution is also included.